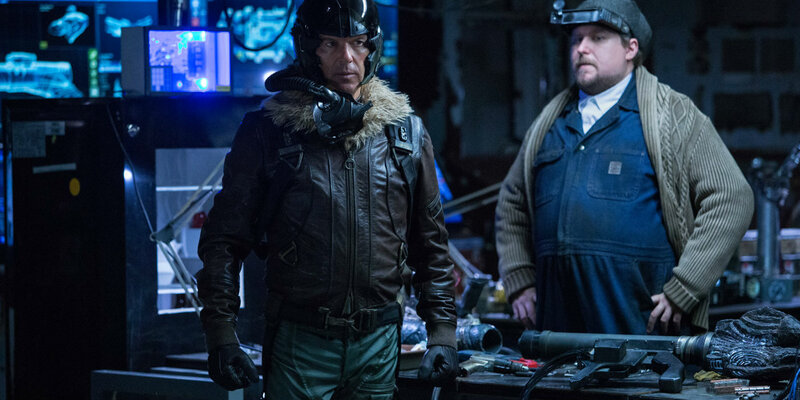 Michael Keaton is set to return as Adrian Toomes aka. The Vulture in Spider-Man: Homecoming 2. The Spider-Man sequel will be the first Phase 4 Marvel Cinematic Universe movie, following the release of next year's untitled Avengers: Infinity War followup (known for now as Avengers 4). It will also be the last film on Marvel Studios' official release slate for the next year, now that the studio has confirmed it won't be announcing its Phase 4 lineup until the fourth Avengers movie hits theaters. Tom Holland's Peter Parker may have been among the unlucky when Thanos snapped his fingers in Infinity War, but it's safe to assume he will have made a full recovery by the time his next solo movie arrives. It's less clear what exactly Homecoming 2 will be about (much less officially titled), but it does seem that Peter will do some globe hopping in the film, on his way to completing his next year in high school. Now, thanks to the latest Homecoming 2 update, the villain side of the equation is starting to come into focus. According to Variety, Keaton will in fact reprise his Homecoming role as The Vulture in next year's sequel. The news was revealed as part of Variety's larger report about Jake Gyllenhaal closing a deal to join the Spider-Man: Homecoming 2 cast, in a role believed to be that of the main villain (reportedly, Mysterio). Details beyond that are being kept under wraps for now, including whether Keaton's Vulture will be Team Mysterio or Team Spider-Man in the film. Variety is further confirming that Zendaya and Marisa Tomei will reprise their Homecoming roles as Michelle and Aunt May for the sequel, with director Jon Watts and writers John Francis Daley and Jonathan Goldstein also returning. That indicates the movie will be as much a direct continuation of Homecoming as it will be a followup to the MCU-changing events of Infinity War and Avengers 4. As such, it only makes sense for the sequel to pick up The Vulture's plot thread again, after Homecoming left it (somewhat) dangling. Homecoming ended with Adrian being sent to prison but refusing to reveal Spider-Man's true identity when pressed by his would-be customer, Mac Gargan (Michael Mondo), after Peter save his life in the movie's climax. It remains to be seen if Adrian feels he's paid his debut to Pete now and, if so, what that means for his future plans if/when he breaks out of prison. Fans have speculated that Homecoming 2 will feature the Sinister Six and it does seem increasingly possible, now that both Vulture and Mysterio (two members of the team in the comics) are set to appear in the sequel. Then again, Homecoming 2 could go in the opposite direction and set up a redemption arc for The Vulture instead. Either way, it will be good to have Keaton back in the MCU again.